Attract more customers more often with bpm’online’s out-of-the box lead generation tools. Documenting and Automating your sales processes will increase sales by 28% each year. Bpm’online makes this easy to do and easy to change. Automating everyday business tasks to work smarter and improve efficiency. With intelligent reporting functionality on your customer data allows for insightful decision making. Relationships with your customers are created and managed through the actions of your people. Shouldn’t the CRM software you adopt then, not merely collect data, but actually enable your people to take the right actions at the right time? This is the power of a CRM + BPM (Business Process Management) Solution – It adds action to data to improve the customer experience. Attract customers to your business by creating content they want. Helping you generate leads that are both informed and qualified. 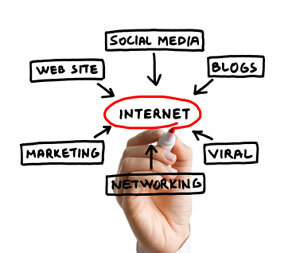 Inbound Marketing gives you the power to create your market and have them coming back for more.